We often struggle with understanding our financial insecurities despite generating what we feel in a sizeable income. We could be receiving quite an impressive income from our salary or business regularly but despite all our efforts we really do not manage to create and maintain our wealth. One of the main reasons for this gap is our ever-common confusion about wealth vs income. But what’s really the difference between wealth creation and earning an income? How can we leverage our income smartly to create wealth? Here are five pointers to remember while trying to figure out the wealth vs income differences. In simple terms, wealth is what you possess in the form of assets; it is truly your net worth minus the liabilities. It could be your financial investments, your savings, home, land, or any other form of personal property. However, income is the cash inflow; it’s the regular money you receive in the form of salary, rental income, regular wages for the services you provide, and even government assistance. You income usually helps you to lead a lifestyle of your choice and supports you in accumulating wealth. However, having a healthy income does not necessarily mean that you are wealthy. Wealth is accumulated with an expectation of an increase in its value in the future years. Wealth can be your stocks, shares, assets, land, house, bonds, property and more. So when their value appreciates, your wealth considerably increases. Therefore smart financial planning and regular revisiting of your total asset value will help you make the right investment and savings decision to improve your wealth. But, income is what you earn on a regular basis for your work or talent. Showcasing your skills is essential to earn income; hence, the most productive years of your life if used to your fullest potential, can lead to a considerably high income. Wealth creation is a long-term process wherein you need patience and grasping ability to the market trends. Income can be an exciting aspect which can be generated at regular intervals for example monthly salary. The wealth you create can stay with you for your lifetime, but you may stop earning income from your job when you retire. There can also be a situation where over a period of time, the income you generate from your wealth might be more than enough for you to lead a comfortable life. For example, you could earn a handsome rent from your property or gain from the dividends and interest from your savings and investments. Growing your wealth is all about taking calculative risks, understanding market ups and downs, and investing. The growth value of wealth may not be pre-determined, but wealth generally has good potential to increase its value if managed smartly. With innumerable dos and don’ts to consider while generating and growing wealth, it is always safe to take the guidance of a registered investment adviser or financial advisory services for smart personal financial planning. These experts are adept with managing the entire gamut of options of gaining wealth. Hence they can study your specific life goals and provide customized guidance to you. With high income comes the need to maintain a higher standard of living, which leads to high expenses. Hence, without savings or investing a specific percentage of income in gaining wealth, all your efforts at being wealthy will be in vain. Your choice of the percentage of your income you devote to savings is a critical determiner of how much wealth you can possibly accumulate over a period of time. Ideally, if you land up spending less than about 20% of your income on savings, then your scope of generating wealth decreases. Wealth vs income – what’s critical in the long term? While income is critical to ensure that you lead a healthy lifestyle, the extent of wealth you accumulate is your safety net for the future and the ladder to reach your life goals. Having a clear mindset about the two crucial aspects of money - wealth and income – is essential to aid you in the journey of financial planning in life. So, use your income wisely to convert it into wealth. PrognoAdvisor is your trusted online financial planning service from India, with extensive expertise in understanding your specific financial and life goals and guiding you achieve these goals with confidence. 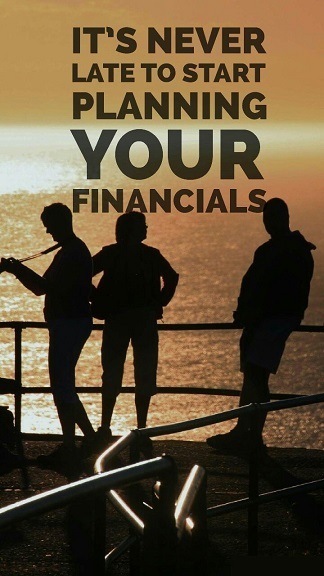 Connect with our financial advisors at Prognoadvisor.com to understand how you can simplify the entire process of personal financial planning and meet your life goals with some smart wealth creation and management.